This report was originally published March 3, 2004. Wilcox-Herzog, 1997). Moreover, qualified teachers provide directions that follow on from what children are already engaged in, or introduce uninvolved children to new activities, so that children spend less time in repetitive or low-level activities (de Kruif, McWilliam, & Ridley, 2000). Consequently, children who are educated by qualified teachers have been found to be more sociable, exhibit a more developed use of language, and perform at a higher level on cognitive tasks (Bowman, Donovan, & Burns, 2001; Dwyer, Chait, & McKee, 2000; Howes, 1997). teachers in private ECE settings have a minimum of a BA. requirements. Compounding this issue further is the inadequate salary and benefits that accompany teaching young children that offer little incentive to assume the personal and financial costs of additional professional development, as well (Barnett, 2003; Edwards, 1999; National Center for Early Development & Learning, 1997; Whitebook, et al., 2001). A third and final issue concerns the current system of teacher preparation and professional development and its ability to meet the growing demand for qualified professionals (Horm-Wingerd, Hyson, & Karp, 2000). Various policy documents (Eager to Learn, Bowman et al., 2001; New Teachers for a New Century, National Institute on Early Childhood Development and Education, 2000) call for a retooling of the faculties teaching early childhood courses to ensure that teachers of young children receive up to date knowledge in the teaching of domain specific knowledge, child development, and meeting the needs of diverse student populations. What little research is available (e.g. Early & Winton, 2001) would suggest that most faculties of teacher education do not have the capacity to meet this expectation. 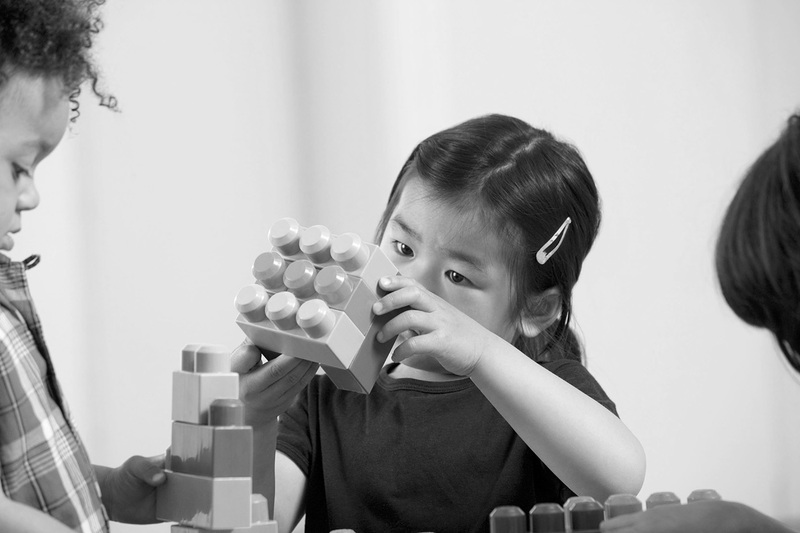 Creating a qualified preschool teaching workforce that can produce the child outcomes associated with high-quality programs therefore requires states to not only encourage existing staff that teach three- and four-year olds to increase their qualifications, but to also create a system of professional preparation that can both support non-traditional learners and develop their professional expertise. This two-part report documents the findings of a study of New Jersey’s efforts to develop a cadre of qualified preschool teachers and these teachers’ experiences in newly created Preschool- Grade 3 (P-3) teacher preparation programs. The focus of this report (part I) is on teachers’ efforts to get qualified by an externally imposed time frame. The second part examines teachers’ experiences and perceptions of their professional preparation.